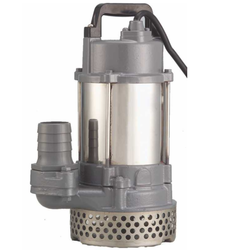 We have attained huge reputation as prominent manufacturer and supplier of Dewatering Submersible Pump. These pumps are well accepted in the market for their light weight, robust construction and excellent functional accuracy. We design these pumps by utilizing latest tools and techniques as per latest industrial norms with quality tested raw materials. We supply these machines in wide specifications at affordable price range to our customers.